This weekend I attended the Digital Legacy Conference in Hackney, London, which was held at St Joseph’s Hospice. 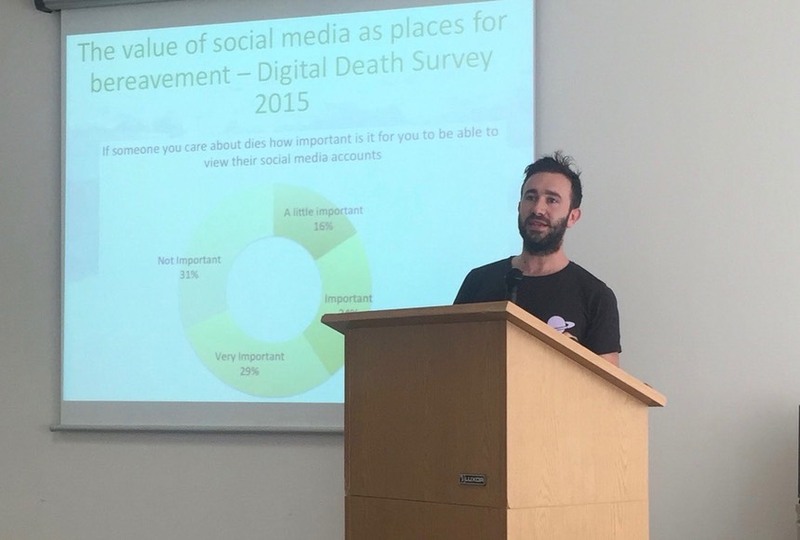 The conference was organised by The Digital Legacy Association (DLA) to raise awareness of issues surrounding death and dying that are becoming increasingly important in society. 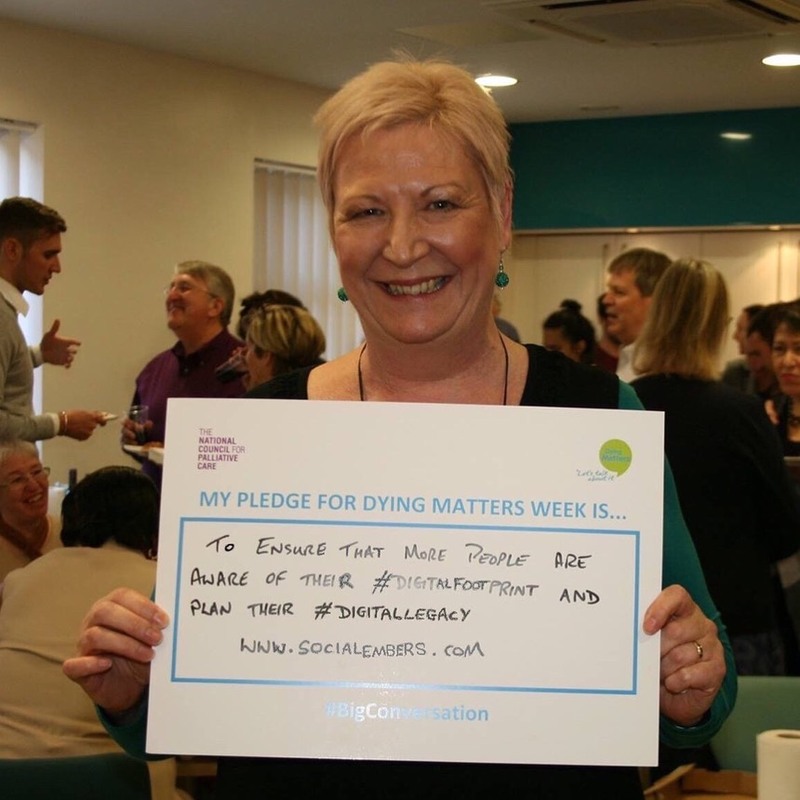 It concluded a week of campaigning by ‘Dying Matters’ to encourage more people to talk openly about end of life issues. The conference was opened by James Norris, founder of the DLA and of Dead Social, and James outlined some of the aims of his projects and how he got involved in this area. Chairing the event was speaker and funeral celebrant Peter Billingham, who runs Death Goes Digital, a company formed to give advice to the funeral industry about using digital technology. Peter spoke knowledgeably about some of the changes that are happening at funeral celebrations, including live stream funerals and photography, acknowledging that some are quite unusual and he gave us some interesting anecdotes. Gary Rycroft was the next speaker. He is a solicitor and also works as a trustee for the National Council for Palliative Care, and the Dying Matters Coalition; both organisations promote awareness of death and bereavement issues. He told us about the Law Society Wills and Equity Committee, who produce guidelines for solicitors in relation to the law governing wills, succession and mental capacity, and he outlined how new thinking is now required with regard to digital assets. Jane Harris Edmonds spoke to us very movingly about the death of her son Josh. She outlined how this lead to her current work ‘The Good Grief Project’. We learned from Jane how through making a film of her son’s funeral, she was able to create both a physical and a digital memorial site for him, and this is still providing comfort to her and Josh’s family and friends. ’Beyond Goodbye’ is a digital tribute to her son and ‘Postcards to Josh’ still provides an opportunity for all those who knew him to share their feelings, memories and new experiences. Music, photographs, postcards, videos and words are all used to create a way for everyone to contribute in their own preferred way. Mark Taubert, an NHS Consultant Physician in Palliative Medicine, spoke next. He started his talk by observing how Jane had demonstrated that both physical and digital spaces can be used simultaneously and creatively to remember someone. He went on to tell us about an open letter he had written in a BMJ Supportive and Palliative Care blog post to David Bowie about the late singer’s death and last months. His letter thanked Bowie for the awareness he had raised by what must have involved meticulous preparation for the last weeks of his life, knowing that his illness was terminal. He spoke about the profound effect the album Blackstar and Bowie’s music more generally had had on him and many people that he worked with, and referred to it as a ‘a work of death art’. His letter became widely talked and blogged about on social media, in the press and on TV, after being shared by David Bowie’s son Duncan and highlighted the work of palliative care professionals. We were also pleased to connect with many others who attended the conference. 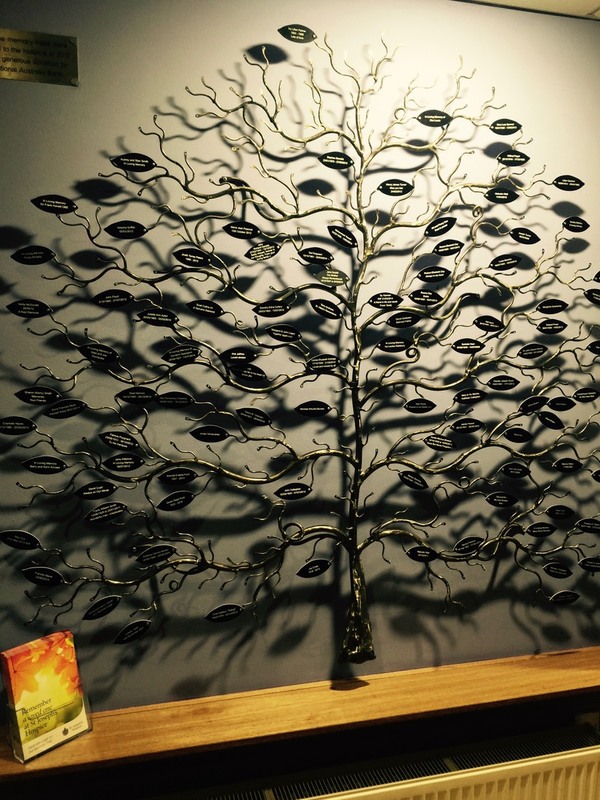 St Joseph’s Hospice made us feel very welcome and this very poignant memory tree at the bottom of the stairs reminded us of how many different ways we can remember those who’s lives have now ended.